One year in our new home – and another big change! A little over a year ago we made the big decision to relocate the business from Uckfield High Street – where we had been a firm fixture for 25 years – to a new showroom on the Bellbrook Industrial Estate. This was a big change for Cannadines. …but, just over 12 months after making the jump, I couldn’t be happier with the end result! After a lot of hard work from all the Cannadines team to make the transition, we’re now fully ensconced. Our showroom is bigger, brighter, and gives us the space to show off an extensive range of quality kitchens, bathrooms and bedrooms far beyond what we could previously do in the past. However – not being one to rest on one’s laurels, it became clear that while we might have the perfect premises, we needed the website to match. And this is what you find yourself viewing today. The all new Cannadines website – designed to reflect our brand values and solidify our position in the market as a provider of quality products and services. Our goal is to put the ranges at the front and centre of the site, allowing visitors to get a clear vision of what Cannadines can offer when you let us take on your project. Not only that, we want it well known that ability to design, supply and install means that, by working with Cannadines, we can deliver you the best outcome with minimal fuss. 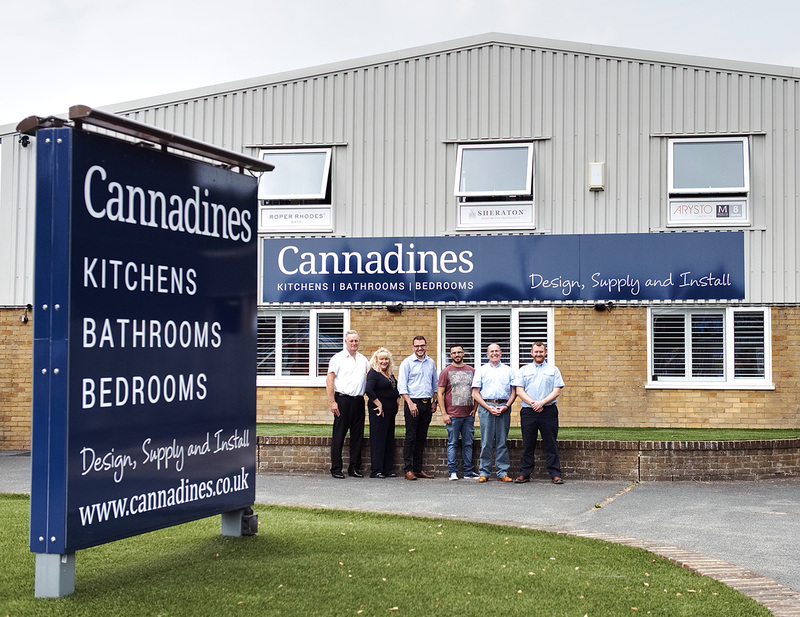 Finally, I want to take this opportunity to thank the entire Cannadines team – whether in the office, warehouse, or installing in our customer’s homes – for your help and patience through these huge changes. Your hard work day-in, day-out is truly appreciated and has put Cannadines in a fantastic position to continue for many years to come!